Page Belcher, 1951-1972. "Letter to Belcher." 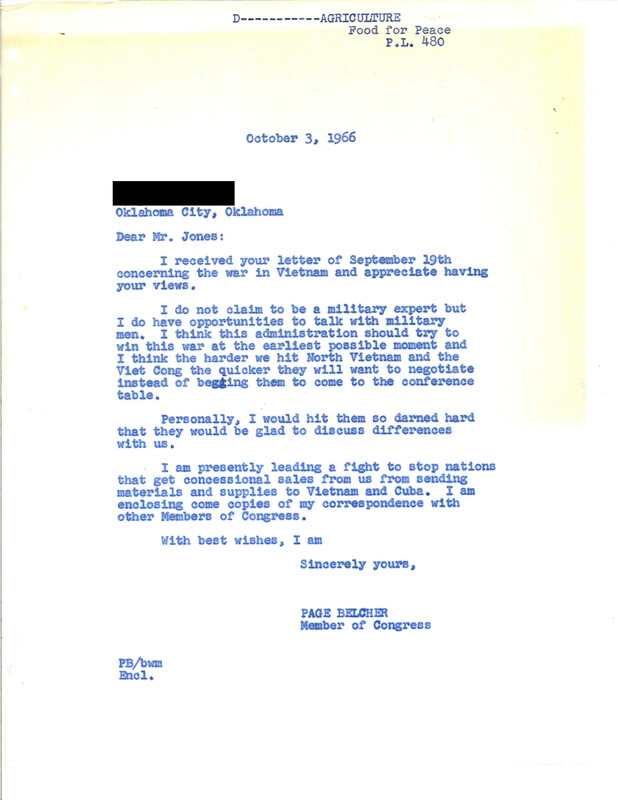 Page Belcher Collection, Legislative, Box 88, Folder 18a, Carl Albert Center Congressional Archives, University of Oklahoma. Accessed 19 April 2019. http://acsc.lib.udel.edu/items/show/474.